TS SET Hall Ticket 2019 – Candidates can download admit card of TS SET at telanganaset.org from June 25, 2019. Osmania University is conducting Telangana State – State Eligibility Test on July 5, 6, and 8, 2019. Enter application number and password in order to login for hall ticket download. Aspirants must take TS SET Hall Ticket and valid identification card to exam center on day of exam. Know here how to download hall ticket and all latest news and details related to it. 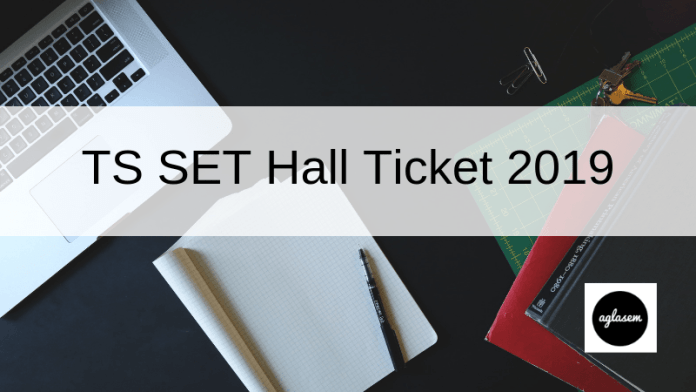 The TS SET Hall Ticket 2019 is an important document that tells exam date, center and important instructions. Without it, applicants cannot sit for exam. Know its important dates from table below. If the photo in hall ticket is not clear, then candidate needs to bring 2 passport size photograph to center with an undertaking. Download here: Candidates can download TS SET Hall Ticket 2019 as per schedule from telanganaset.org. How to download TS SET Hall Ticket 2019? In order to download the admit card, simply follow the steps given below. Click on admit card download link (available only as per schedule). When you reach login page, enter application number. After that enter security key. Now you can view and download admit card. Forgot Application Number – What To Do? Many a times, candidates forget their application numbers. Therefore Osmania University has given the facility to get it back online. Go to login page at telanganaset.org. 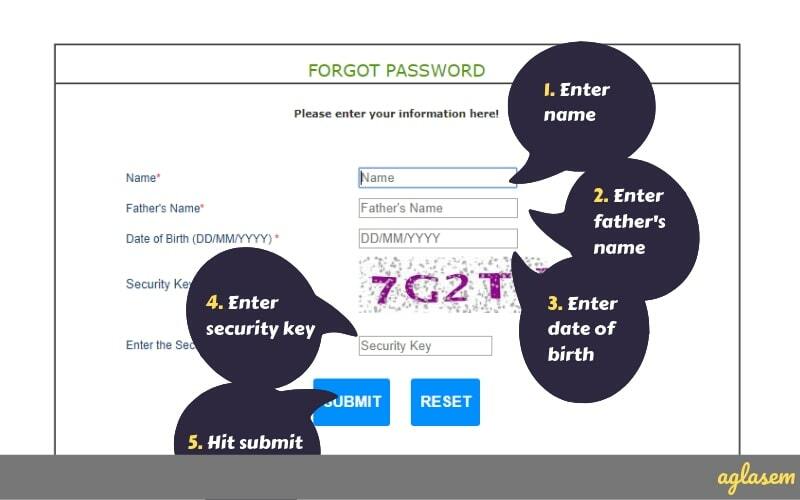 Enter name, father’s name, date of birth, security key. Submit to get application number. 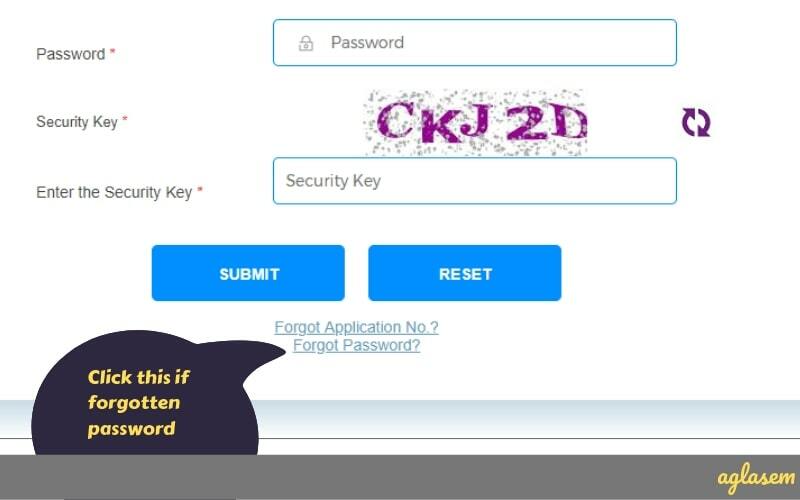 Forgot Password – What To Do? 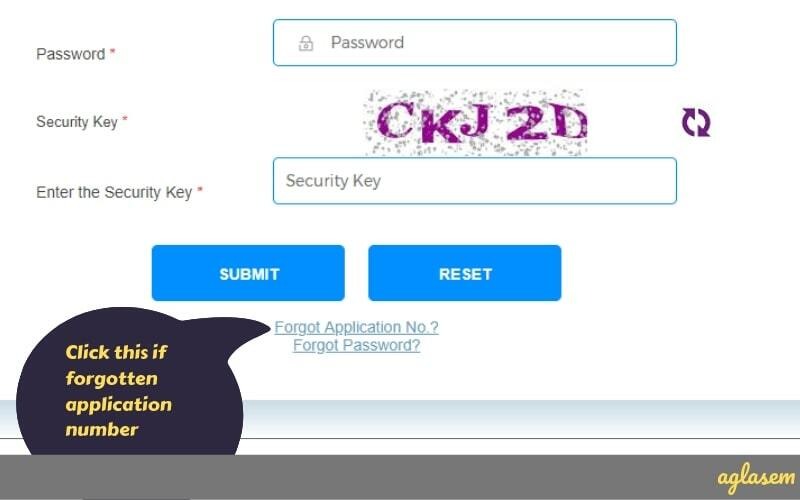 Just like one can forget application number, similarly password could be forgotten. It can also be reset / retrieved using steps below. For this also you have to go to telanganaset.org login page. Now input name, father’s name, date of birth, security key. Then submit this to reset password. Candidates can note these important guidelines regarding admit card. Candidates can obtain hall ticket of TS SET only in online mode. It is responsibility of candidate to remember to download it before exam. It is compulsory to bring its print out on day of exam. One should appear for Telangana State State Eligibility Test only at that exam center which is mentioned in admit card. It will not be sent by post or any other means. It is important to read all instructions in admit card. Osmania University is conducting State Eligibility Test in computer based test mode. Candidates should show admit card, original photo ID whenever invigilator or centre authorities ask for. There will be frisking at exam centre. Authorities will ensure that no candidate is having any electronic or any other gadgets, mobile/cellular phone, tablets, pen drives, Bluetooth devices, watch, calculator, log tables, wallet, purse, notes, charts, loose sheets or recording instruments strapped on. Candidates are advised not to take any personal belongings as there may or may not be facility to keep them safely at centre. At the exam center, candidate will undergo photo capturing, and have to give left thumb impression. 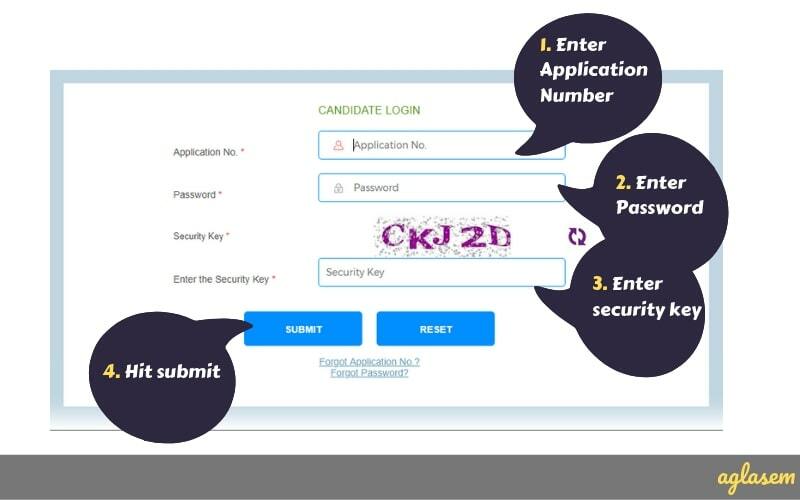 Security feature will verify candidate identity to avoid impersonation cases. Because thumb impression will be required, therefore candidates should avoid mehendi. – Carry admit card and Photo ID. – Enter exam center on time. – Be seated at assigned system. – Talk to invigilator if there is a technical issue. – Talk to any test taker during exam. – Have barred items with you. – Create a disturbance in exam center. Entry of candidates will start at 7:30 AM for forenoon session. Then for afternoon session it will be from 12:30 PM. Biometric verification shall start from these times. Exam centers will close gate at 8:45 AM in forenoon session, and 1:45 PM in afternoon session. Candidates will not get entry from the time that gates close. Once inside the exam hall, candidates are assigned systems. They can login to read instructions from 10 minutes prior to exam. Osmania University is conducting the state level eligibility test in following 10 cities: Adilabad, Hyderabad, Karimnagar, Mahabubnagar, Nalgonda, Nizamabad, Warangal, Khammam, Medak, Ranga Reddy. After downloading the admit card the candidates have to check the details printed on the admit card. The following details will be can be printed on the admit card. Telangana State – State Eligibility Test is conducted to determine eligibility of candidates for Assistant Professor & Lecturer in Telangana Universities and Colleges. Osmania University is conducting it on behalf of the Telangana State Government. TS-SET examination comprises of General Studies and 29 subjects. Exam is in computer based test mode. Candidates taking the test are those who have done MA, MSc, MCom, MBA, MLISC, MEd, MPEd, MCJ, LLM, MCA and MTech (CSE & IT only). There are two papers in TS SET 2019, the paper I is common for all the candidates. For paper II the candidates have to choose one subject. Overall number of candidates to qualify as per result of TS SET 2019 shall be equal to 6% of total number of candidates appeared in both papers. You get to know your exam date through it. You also get to know your exam center through it. Osmania University assigns you your roll number via hall ticket. Roll number is key to know where to be seated during exam. Exam center authorities do not allow you to sit for exam unless you have your admit card with you. As can be seen, hall ticket or admit card is a very important document. Therefore, you should remember to download it as per schedule. And also, you should keep it safely. Do not write anything or it, or tear it, or damage it in any way. It is best to keep it in a file without punching holes, or keeping it between books (just do not forget where you have kept it!). Of course the admit card is important for exam. but did you know that it is important post exam also? Actually the admit card contains roll number and many other details. This roll number is used later on to check answer key and result. Therefore it is a good idea to keep multiple copies of it when admit card is issued. This is because even if invigilators ask to keep a copy of TS SET Hall Ticket 2019 (if that is a rule), even then you will have other copies to refer to. Moreover, a printout of admit card is often required at time of Assistant Professor and Lectureship Recruitment, depending on university norms where you go for recruitment. With this in mind, candidates should keep the hall ticket safely for TS SET 2019 exam. Q. Is colored printout required for TS SET admit card? Ans. It is preferable to take a colored printout because in that, photograph and signature are clearer. Otherwise there is no fixed rule for this. You should also check admit card PDF once to see if any such rule is given. Q. My name in official documents and admit card do not match. What should I do? Ans. Candidates can avail facility of editing application form after last date of registration. However there is no fixed data on whether there is any scope for correction once hall ticket releases. Q. How will I get TS SET 2019 Hall Ticket? Ans. You can download hall ticket from official website as per schedule. First visit the website, then login to download admit card. Q. Which photograph should I take? Ans. It is important to point out here that one must use the same photograph as used in application form, for all future events. Q. What does provisional admit card mean? Ans. Provisional admit card means that it is subject to your eligibility since eligibility is checked later. Q. Lost my admit card. What should I do now? Ans. If you have lost your admit card then you should again download it from official website. In the event that download link is disabled, then you can contact authorities if any such facility is available to get it by other means. Q. What to do if I am unable to download admit card? If you are facing any issues, then please get in touch with authorities at below mentioned contact details. If you have any queries regarding TS SET Hall Ticket 2019, then please ask in comments below.